The $7.8 bln tech outfit just sold more stock at a higher price than it did in a shoddy late 2017 IPO. A video game hit and success in an Indonesian e-commerce battle against Alibaba’s Lazada have won over sceptics. Some $1.4 bln of fresh capital can help keep the momentum going. 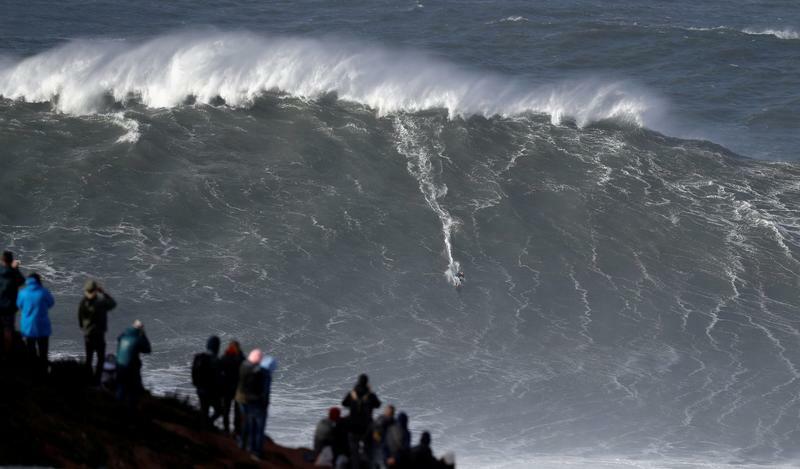 Big wave surfer Sebastian Steudtner of Germany drops in a large wave at Praia do Norte in Nazare, Portugal November 9, 2018. Sea, the Southeast Asian gaming and e-commerce company backed by Chinese internet giant Tencent, said on March 5 it had raised $1.35 billion in a share sale. The New York-listed company priced 60 million American depositary shares at $22.50 each, 10 million more than it intended to sell when it announced the offering on March 1. The price represents a 6.5 percent discount to the $24.06 closing price on March 5. Sea has also granted underwriters a 30-day option to buy up to an additional 9 million depositary shares on the same terms and conditions. An entity affiliated with Tencent and another affiliated with one of Sea’s directors are expected to buy 6.3 million of shares on offer. Sea said it expects to use the proceeds for business expansion and other general corporate purposes. Goldman Sachs and Morgan Stanley are acting as joint bookrunners and China International Capital Corp is acting as a co-manager of the offering.